Today, we will talk about the top 7 used cars which would be a shot list of what we think are the top choices if buying a used car this year. Please note that these cars are sold globally and I am not going to divide them depending on location and other characteristics. Honda Accord and its model specifications starting from 2008 up to 2014 are rated pretty high in most consumer surveys. For the European market I would strongly recommend the 2008 Accord Estate diesel which comes with a very punchy 2.2 DTEC engine with 150 bhp. Honda's 2.4 petrol engine on the other hand suits perfect for the North American and Asian markets where customers prefer mostly sedans. Accords from the model years I mentioned are well known for their reliability and low maintenance costs. Fuel-consumption is pretty good just like the dynamic figures. As an overall we can say with Honda Accord you get the complete package. Some known issues with this Japanese car are related to its low practicality coefficient and lack of exciting/innovative features. In the last couple of years the Insigna proved to be one of the most reliable cars on the market. Actually this car received numerous awards from different sources around the world. Opel Insignia gained great popularity in Europe where the Sports Tourer (estate) version is also a hit due to its awesome exterior design and comfortable interior. Fuel consumption was put as main priority when designing the new Insignia and we can confirm it really scores among the best in this category. In North America where the Insignia is sold as Buick Regal it is sold only as sedan and mostly with turbocharged gasoline engine and 4x4. Also, many companies decided to renew they car fleets with the new Insigna which made it even more popular, great achievement for both Opel and GM. The hatchback version of the most popular car on the planet (Toyota Corolla) is mostly sold in Europe where it is one of the biggest competitors of the best selling VW Golf and Opel Astra. This compact car impresses with great reliability scores and fuel consumption figures. The interior and exterior design might not suit everyone's taste but we can't say the car looks ugly or anything. Toyota Auris is one of those unexciting cars that are design and constructed just to do what they are supposed to do - carry you form point A to point B without any hassle. Even though BMW is not very popular with reliability and cheap maintenance when talking about used cars but the 1 series definitely stands out with its good quality build and design that still looks modern. Please note that we are not talking about the latest generation 1 series but the one that's for sale since 2005 and facelifted in 2007. Some of its great advantages are the wide variety of engine choices and proper rear wheel drive handling. Most of the engines are also quite good on fuel and not that expensive to maintain. Overall, it is a great little car, definitely worth spending 5,000 Euros on it when bought used. Skoda Superb is the biggest and most luxurious vehicle that the Czech car manufacturer currently produces. The second generation of the Superb was released in 2015 and almost instantly became big success in Europe. Good reliability and customer satisfaction scores, huge interior space and practicality and great value for money are just some of the key factors that made this car popular on the second hand market as well. 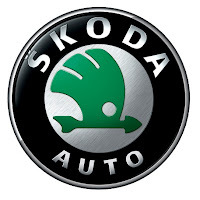 And even though it is a bit expensive for a car with the Skoda badge it definitely exceeds the expectations and is often compared to much more refined and luxurious vehicles like the Mercedes E-class and Audi A4 and A6. proved to be very reliable and also quite practical car as well as a very strong competitor of the VW Golf and Toyota Corolla / Auris. Hyundai i30 is offered with a wide variety of petrol and diesel engines which are compatible with Euro 5 emissions norm. The 3 series has been the leader in the luxury executive small sedans for years now and their latest generation 3 series (F30) keeps this trend despite the strong competition from Mercedes and Lexus. The 3 series offers the most advanced engines from the bunch here and therefore you can expect the highest maintenance costs here. But having the comfort and dynamic characteristics of this vehicle is really worth spending the extra money. From the F30 model line we can recommend the 320d which offers great blend power and fuel economy as well as the estate model which is quite practical especially with the optional xDrive 4x4 technology. These are our top 7 choices for buying used car in 2015. We would love to hear your opinion as well, what is the car you are driving and would you recommend other cars for this list. Please also check the mounting of the universal armrest for Opel / Vauxhall Astra H.